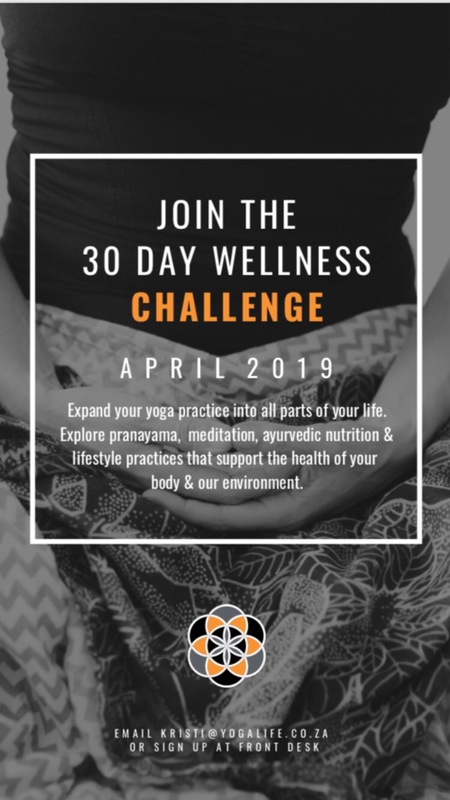 Welcome to the 30-day Wellness Challenge designed to evoke self-reflection on your relationship with your body, the environment and our community. Wellness can take on a variety of definitions and practices. One definition of wellness that we will explore together for the month of April is the experience of trusting the wisdom of our bodies and our connection to each other and this beautiful earth. We will offer a variety of wellness tips and practices stemming from the yoga, mindfulness and ayurvedic traditions for you to experiment with. For example, we will explore the eight limbs of yoga, plant-based remedies and technology detoxing to tune up our internal environments. As for our enhancing our relationship with the planet, we’ll look at reducing plastic consumption, supporting local farmers and creating eco-bricks to reduce our carbon footprint. Wellness is a personal experience and therefore isn’t a one-size-fits-all practice. You get to decide what keeps you connected to your body and harmonized with the environment! Follow us on Instagram to receive your daily wellness tips from our entire YogLife team. Share your personalized wellness experiences with us and each other! We look forward to collaborating with you in the spirit of wellness! Sign up at the front desk or email kristi@yogalife.co.za.